Humid and hilly run. It was hotter than I'd like it but very nice for an end of June day. As you probably suspect, I had a great time at a very well run race. As a bonus, it was my birthday as well so it made it extra special. Bottom line: Kona Running Company does not disappoint. As I've said in prior race reviews this year, there are many different areas of a races that the race director has to consider when organizing an event. Since my race reviews are long enough as it is, I've been using the following eight categories which the majority of runners would rate when making a decision to come back to the race for the following year. Registration is a very easy process with the Kona Running Company races. All you do is go to their website which, in this case, was HERE, click register, add your information and pay. A very simple process. You also had the opportunity to register the day before the race at packet pickup and race morning if the race was not sold out. Volunteers were requested to help with packet pickup on Friday evening so I decided to volunteer and help the race out this year. I'm sorry to say that this was the first time that I have volunteered for a race but certainly will not be the last. I'll do a detailed post of my experience in a later post but would like to say that I was very happy to help and all races need volunteers to make things run smoothly. The Solstice Run had over 225 volunteers. Packet pick up was also a very easy process. It was located at Northville Square mall in Northville on the second floor. Welcome - to enlarge any picture, click on it. There was parking right behind the building making for easy access but there was an art fair going on at the same time so it might have been a little tricky to get a space next to the mall. I was lucky and got one right there. The race had a list of all bib numbers with names. People could grab their number and then go up to the pickup. The packet pickup was well organized(of course, since I helped. Ha!) and the bibs were spread out over a 20 foot table. You gave the volunteer your number, they found it, confirmed your name, and gave you your shirt and you were good to go for the race. Bibs had the timing chip on the back so there was no need for a separate timing device on your shoe. I got to the start rather early at 6am. There were already some runners there warming up and there was plenty of parking at Northville Downs - at least at that time. If you were not early, there was a new option this year to take a shuttle from the local high school to get to the start so that there were no issues with parking. The start of the Solstice Run is at Northville Downs horse track. This is a really unique start for a race as you get to run around the horse track as you start your race. I've never done that with any race I've been involved in so it makes for a very exciting start. This is the third time I've run this race. The 10k Aloha run was set to go at 7:15am, the 10 mile Kona run at 7:30am, the Maui mile at 8:15am and the 5k Honolulu run at 8:45 or 8:55am depending on your pace. One of the biggest complaints I overhear for other races - not enough! I also saw Coach Ken setting up the start area. I bet Ken has volunteered at hundreds of races and he does a great job at the start. Not only does he set up but he cheers on the runners at the start and helps tear everything down as well. He's an important part to the starting area. Also, in the picture below, you can get an idea of what the track looks like that you get to run around. Here's an idea of the kind of crowd that was running these races - 3,500+ runners! Most of the people in this picture are just for the 10k. There were thousands of runners today. Thousands of runners getting ready to run! If you have read some of my past race reviews, my biggest pet peeve in a race is starting time. If it says 7:15am start, then start at 7:15am! I tend to pay attention to this at the beginning as I'm crazy like that. I'm happy to say that the 10k and 10 mile started exactly on time. This is why I love Kona Races so much - for this level of detail. Alan Whitehead, race director working hard to keep runners happy! As I mentioned, the course starts on Northville Downs so you get to run one lap on the horse track. After the track, you come out into the parking lot of the track and right away head up "Kona Hill". This is the first tough hill of many in the race. This is NOT a flat race course. It is, however, a great layout, offering a nice challenge. 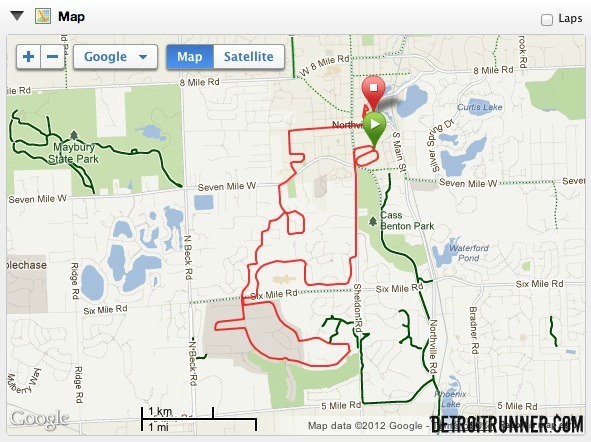 The course takes your through the beautiful neighborhoods of Northville, through downtown Northville and a superb finish on Ford Field(in Northville, not where the Lions play). Extra special this year was Luke Humphrey and Clint Verran battling it out in the Solstice "Duel in the Sun" Both gentleman are Olympic Trial qualifiers with 2:14 marathons. It was the start of an exciting race for sure. I was not there at the finish line to see it but Luke Humphrey won the race with a time of 52:27(clock time) vs. Clint Verran's time of 52:43. 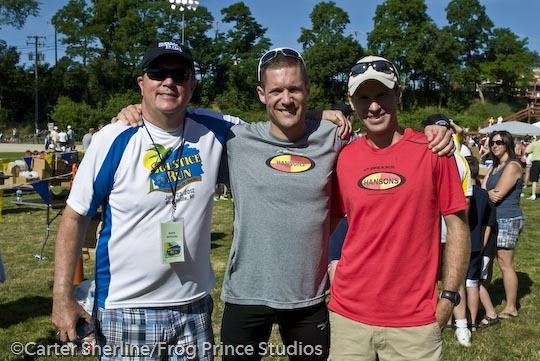 Of course, it's all in friendly competition since both runners train with the Hanson's Group. This is a certified course so there's no need to worry about it being short. My Garmin said I ran 10.13 miles which is just about perfect given most of us do not run all the tangents to the course. It was humid and it was warm but not extremely warm. I would have hoped for an overcast day as the sun did seem to bear down on you on parts of the course. One of the nice things about it is that you get to run in parts of the older subdivisions where there is shade and, while it is still hilly, it's not as bad as in the first part of the race. I also love that the neighborhoods really do support this race and there are many homeowners out in their front yard cheering on the runners. I also love running in downtown Northville since you don't have any other opportunity to do that. 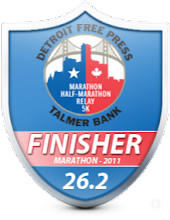 The finish is really great since you come down a hill and go around a track in Ford Field. There are lots of spectators in this area and they really start lining up from near downtown all the way to the finish so you get lots of encouragement at the end of the race. There were plenty of aid stations including water, GU brew and GU. I'm not a huge fan of GU or GU brew, but my opinion is that it's great to have both out there for a 10 mile race. The volunteers were everywhere and yelling out water or GU where appropriate. There were over 225 volunteers for the race this year including yours truly. All did a great job cheering people on and directing people. I was especially impressed with the course marshals as they were yelling out directions frequently and it helps keep you in line of where you needed to go. The finish area is one of the best things of the Solstice Run. Since it finishes in Ford Field, there is plenty of room to set up for a race. As you are close to the finish line, the announcer calls out your name - I love when races do that! You come through the finish shoot, get your photo taken, a volunteer is giving out high-fives!, then you get your medal from a smiling volunteer, your finisher hat and some food. You can eat your food and drink and watch the Hawaiian hula dancers or listen to the band. Even the Photographer was into it with the Kona hat! High five finish volunteer. Sweet! I want to volunteer for that job! Ready to hand out lots of hats! One of the most unique things the Solstice run does is have their race sponsors at the end of the finish. I really like this concept. It allows the sponsors to showcase their products/services and also give away some freebies to the runners as well. It's a very well planned finish area that is run quite smoothly. I put Renewal by Anderson of Detroit in here below specifically because they also sponsored runners for this race, along with past and future races this season. A great contribution to the running community. If you are a runner and looking to run a race with them, click HERE for their Facebook page to look for future sponsored races. In addition to the Hawaiian dancers, they also had a great band at the finish area. I was one of the last to leave the area and they were still there. The timing company, Everal Race Management also posted race results as runners were coming in. 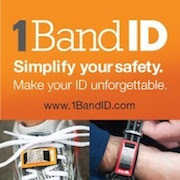 You can also check their website for complete results or go to RunMichigan. Wow. There are so many amenities, it's unbelievable. You got a shirt, a 10th anniversary hat, a medal which is an awesome surfboard shape. You get food(and lots of it), there's water, GU on course, GU Brew, Powerade, entertainment(Hawaiian girls), a great band playing at the start and finish, photographers on course. What more could you ask for in a race? Sweet medal shaped like a surfboard! The organization of this years Solstice Run was excellent. I've always felt that it's all in the details when making sure a race goes off without a hitch. The Solstice Run has had 10 years to work through all the details and they continue to improve their race where most(well at least I) didn't even thing it needed improvements. That's what makes these races run so well and keeps people coming back year after year. Organization can surely make or break a race and it only takes one mistake for runners to become angry and find another race. Alan Whitehead, the race director, and his staff, have done an incredible job. Everyone knows what to do and when to do it and that makes for a great race. This is an A++ race in my opinion. It's the only race that I've ever ran three times in a row. You can certainly see why I keep coming back year after year. The Kona Running Company does a phenomenal job in every aspect to the race management in my humble opinion. While I have not run hundreds of races, this was my 29th race in the last three years and I've been to all types of races and lengths. This race continues to be of my favorites. In addition, they are always looking for ways to make the experience that much better for the runners and they certainly did not disappoint this year. Remember that the 2013 race will be the Kona Run. Happy Birthday!! I love your new banner featuring your Kona medals. I have all the same ones except Solstice 2010. Thanks for the embarrassing photo!! :P And great job on yet another thorough race report. Oh, and on the race too! Sounds like another good one. Nice job! It's cool to see the medals side by side. It looks like they have consistently fun ones. Happy belated birthday! sounds like a great race! if they start around the race track again next year I might be able to drag my mother hehehe :] thanks for the recap! 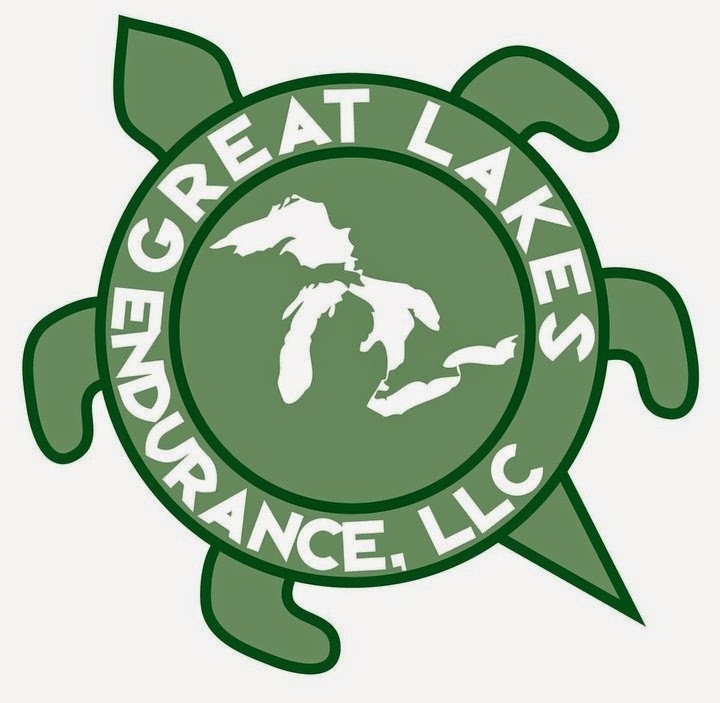 This looks like a fun race and it sounds like it was well run and stocked with great volunteers. Definitely a great way to ring in your birthday! Congrats on a great race and I definitely agree, Kona puts on a great race. Can't wait to run another in the future! I love the fun Hawaiian theme - the leis at registration were a nice touch.